What is the ‘divine destiny’ for the Next Generation in The Black Country? We believe passionately that it is for every one of them to live in a society transformed by the power of God. For every young person to live in neighbourhoods and cities whose values and institutions have been overrun by the grace of God. 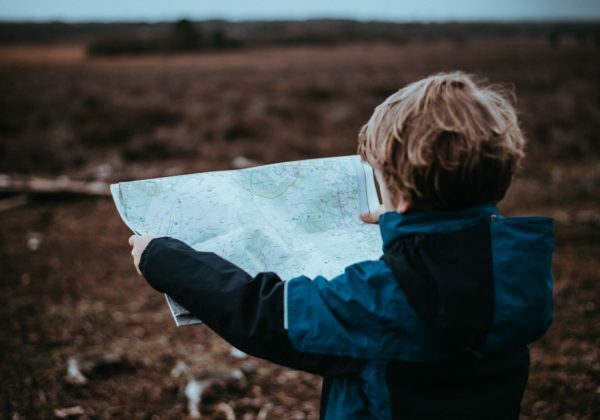 For every child to encounter a society and culture so impacted by the Kingdom of God that homelessness, addiction, high crime-rates and unemployment are a thing from the past that only their parents can vaguely remember. Last week, we were privileged to sit in a meeting with representatives who work with the Next Generation in all four of our Black Country boroughs and we can testify that so much is happening behind the scenes to establish stronger relational links between people with a shared heart for children and young people in our region. 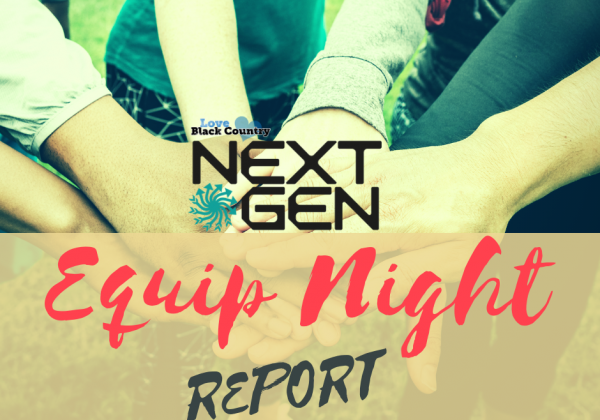 We believe that The Lord is creating these relational foundations upon which He can build His kingdom in the Next Generation in a way that no generation has seen before. Do you have a passion to see them fulfil their divine destiny? We can only pursue this TOGETHER. 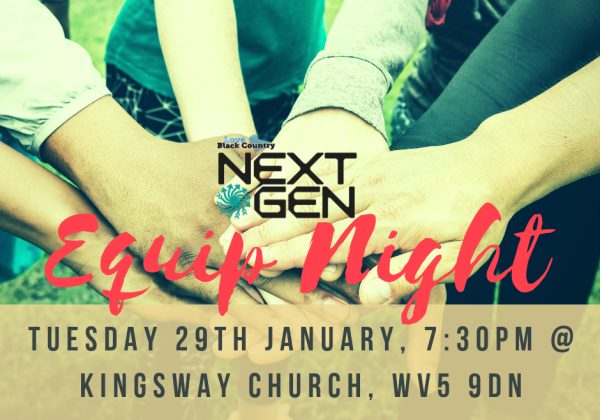 We invite you to join us for our first ever Next Gen Equip Night on Tuesday 29th January, 7:30pm at Kingsway Church, Wombourne (WV5 9DN). Enjoy space to worship (without being responsible for registering any children/placating parents/cleaning up spilled drinks!). Be encouraged and inspired in the role you play. Meet and pray with others who share your heart. Hear from various organisations who may be able to support you practically in the work you do. 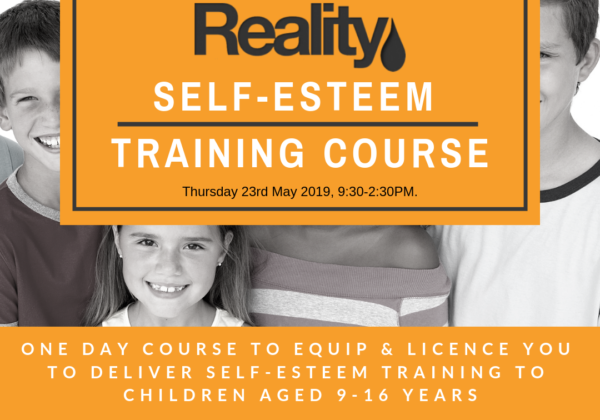 Anyone who works with children and young people is welcome. 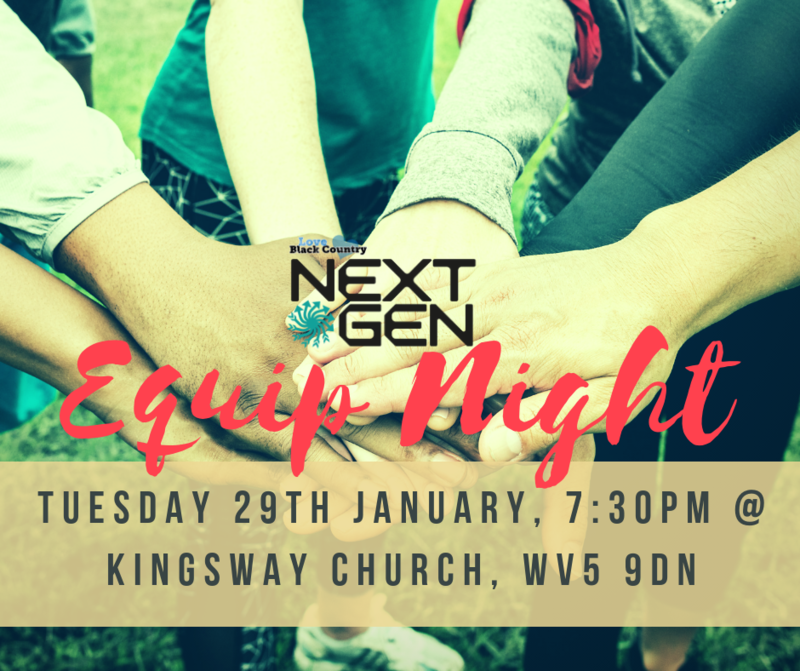 Please spread the word to those you know in your church or organisation with a heart for the next generation. We’d love to connect them with others who share their passion. 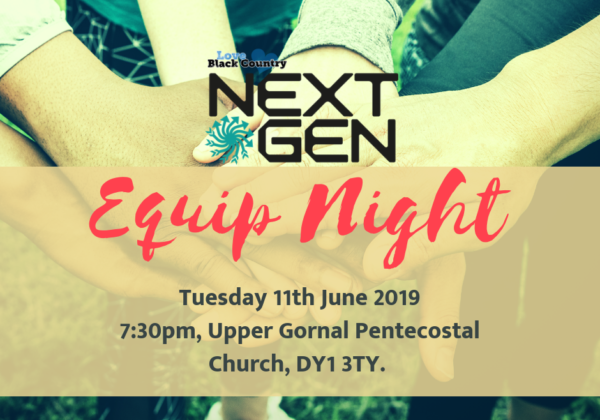 Please contact Deb Chamberlain (deb@loveblackcountry.org.uk) for more info.